Rare Exports - what I'll be watching Christmas day. I'm a grinch. A lack of religious conviction and a lifetime of working in retail just renders the holidays a trial. If you dig the holidays, great. Don't let me ruin it for you. If you're like me, though, and you'd rather just rip December from your calendar, click here for The Most Horrible Christmas Story Ever Told. It brings an otherwise briskly paced narrative to a screeching halt, and it feels like it was imported in its entirety from an altogether different movie. I respect the commitment to the gag. Now that we're all in the holiday spirit, allow me to recommend a few alternative viewing options for the holiday impaired. 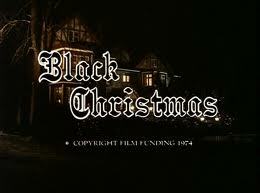 . .
John Carpenter's Halloween gets most of the credit for creating the slasher movie template, but Black Christmas is the real progenitor of the holiday themed body count movie. A cast of vaguely familiar faces (John Saxon, Margot Kidder) adds interest for the first-time viewer, and the murderer's sometimes eclectic means of dispatch (death by unicorn!?!) keeps things interesting. Director Bob Clark was later responsible for A Christmas Story, one of the only "straight" Christmas movies I can stand to watch. The two movies back-to-back make for a truly schizo double feature. Pulled from theatrical distribution in less than two weeks thanks to a very vocal contingent of concerned mothers, Silent Night, Deadly Night is so unashamedly skeezy that one wonders how the protesters took it seriously enough to get agitated. A homicidal head case in a Santa suit returns to the orphanage he was raised in with his axe a swingin' to wreak vengeance on the hard-assed nuns who raised him. Eighties horror movie stalwart Linnea Quigley finds herself on the receiving end of a death by antlers in one notably novel burst of violence. I'm proud to say I caught this one on the big screen during its brief theatrical run. You'll want to take a shower after viewing, but that shame won't wash off. A very promising loose remake entitled simply Silent Night makes its way to DVD/BD on December 4. I couldn't embed the trailer, so check the link here. Speaking of showers . . . a mutant killer snowman rapes Shannon Elizabeth with a carrot - seriously, don't you feel like you need to see that? Unremittingly dumb and filled with groan inducing one-liners, it's so cheesy that it's impossible to not have fun with it. The evil Frosty ultimately gets his comeuppance in the guise of a truck bed full of antifreeze. I can't make this stuff up. A recently widowed expectant mother finds herself the target of a particularly brutal home invasion on Christmas Eve. The perpetrator (a stunningly villainous Beatrice Dalle) is determined to take her unborn child from her the hard way. It's every bit as cheery as it sounds, but if you have the stomach for it, Inside is an undeniably effective French shocker that ranks as one of my favorite genre movies of the last decade. Be warned, though, this is rough going. Expectant mothers, in particular, should probably steer clear of this one. It makes me squirm, and I'm neither sensitive nor pregnant. 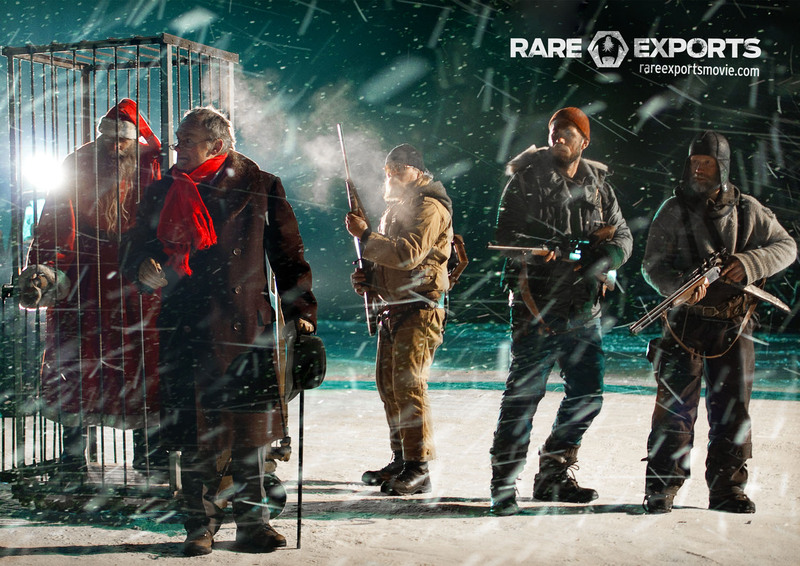 As for me, I'll be watching Rare Exports (2010) this Christmas for the first time. I hear good things. If the picture at the top of the post piqued your interest, it's available on both disc and video-on-demand. If you have any alternative viewing favorites of your own, please share in the Comments section below. God bless us, every one - even those of us who can't stand the holidays!